One doesn’t have to be a brain surgeon to figure out that the Obamacare brand and its technology (health care.gov) have fallen on bad times. We at BTN have not seen any collision this colossal in scope and damage that has affected so many millions as the Obamacare rollout. The brand – Obamacare, is really a mixed bag between President Obama and his signature program, the Affordable Care Act – but as we all know, President Obama owns it now, and for a long time since its passage in 2010, it was a plus. Now, it has become an albatross around President Obama and the Democratic Party – at least for 12 Democratic senators up for re-election next year. So how does one measure the Obamacare brand, and how is it linked to the President? 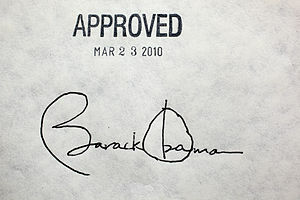 On the surface, the brand linkage between the ACA and Obama is a natural extension of the President’s own brand. Obama, a brand by itself, is a strong, easy-to-pronounce six-letter word that represents one of the most powerful persons in the world – and comes with all of the attendant prestige and power of the office. So it was a natural brand extension – and it sounds good – O-ba-ma-care. Rolls right off your tongue and ear. It reads well, too. And focus groups would have probably given this symbolic brand name a thumbs-up. “Works for me …” one Democrat pollster said. So, it is difficult to “cut off” the Obama brand from the public perception of Obamacare, when it is actually the Affordable Care Act. As a “brand,” Obamacare poll numbers indicate that a majority – 53 percent – of likely voters are unfavorable toward the ACA and only 43 percent are favorable. (Rasmussen) But the numbers have been fluid since the near-collapse of the website and attendant confusion on how and when the site will be fixed. In some states, like Virginia, poll numbers by CNN indicated that 48 percent viewed the ACA favorably and 50 percent viewed it unfavorably. But in looking at the “Obama” brand by itself – the latest Wall Street Journal–NBC poll, shows that only 41 percent in late October viewed Obama in a positive light, with 45 percent holding a negative impression. Surely, his falling poll numbers have something to do with the Obamacare rollout. A more fluid measure of Obama’s standing is the public assessment of his performance in office is also sinking: Only 42 percent approved of the job he was doing, a low in the President’s tracking on the Wall Street Journal – NBC since he took office. When you compare these poll numbers with both Ronald Reagan and Bill Clinton at a similar time in their presidency, they had a 58 percent and 62 percent approval rating respectively. Bush had a low of 36 percent at the same time – after Katrina hit. So, how does Obama get back a positive brand perception? According to former Clinton White House adviser Chris Lahane, second-term presidents all face a decline in their second term which “effectively makes them lame ducks.” But other Democratic leaders beside Clinton state that Obama “over promised” what the public was going to get with the new health care law. With the continuing confusion and technology fiasco at hand and the top news story on every newscast every day, Obama can only improve his brand by ‘fixing the website’ and making good on his promises, as Clinton has urged. He needs to build back trust with the public. Microsoft’s Internet Explorer is “brand gone”…. Here comes the Apple Watch on April 24. It’s about time…. What were they thinking? Car Bomb Stout brand? Google dips its toe into the retail world…. Categories Select Category 3D Printing Apple Back-to-School brand-building Canada curation Disney Fashion Google Healthcare innovation iPhone Lemon Award Microsoft mobile & tablets neuromarketing New York Fashion Week retail Samsung Shopper Marketing social media startup Steve Jobs Target Technology Uncategorized Video, Movies & Television Yahoo!